The successful launch and landing by the first stage of a SpaceX Falcon 9 rocket Monday was a significant step toward achieving reusability and, eventually, lowering launch costs, but turning that success into operational reality poses a significant challenge for company founder Elon Musk, space experts said Tuesday. 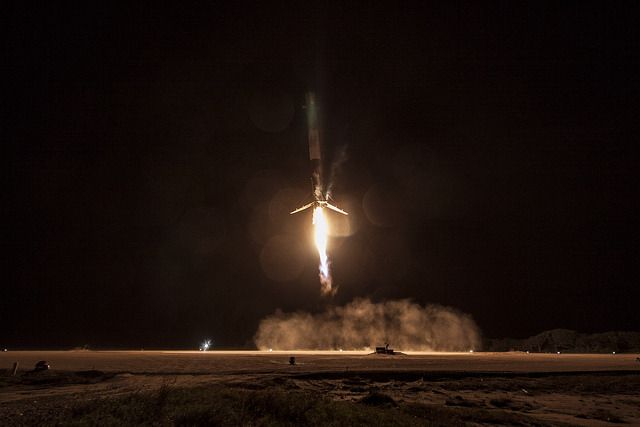 From a purely technical perspective, the successful re-entry and powered touchdown of the Falcon 9 stage represented a “ground-breaking accomplishment,” said former NASA Administrator Mike Griffin. “The ability to examine the stage after it has survived the stresses of flight, to put it through qualification and flight acceptance tests to verify and gain confidence in its condition, is the first step toward economical re-use of the launch vehicle,” he said in an email exchange. John Logsdon, a noted space historian and founder of the Space Policy Institute at George Washington University, agreed, adding that the key to reusability, and lower launch costs, will be quick turnarounds and low refurbishment costs. And that will depend on how the boosters are affected by the stresses of launch, re-entry and landing. 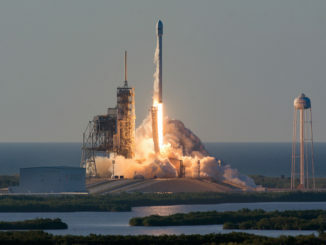 The Falcon 9 rocket blasted off Monday evening from the Cape Canaveral Air Force Station, making SpaceX’s first flight since a catastrophic launch failure last June. The primary goal of the mission was to boost 11 Orbcomm data relay satellites into orbit, which was successfully accomplished within about 20 minutes of liftoff. But SpaceX had two other major objectives. First, the company put an upgraded version of its Falcon 9 to the test for the first time, using cryogenic propellant cooling and “densification” to increase launch thrust. And, of course, the company carried out the first successful landing of a rocket stage used to help boost a payload to orbit. 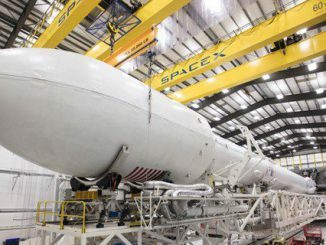 Musk believes lowering launch costs is critical for the commercial space industry, and that requires recovery, refurbishment and reuse of booster stages. In a post-launch conference call, Musk said the recovered stage will be inspected and used for ground tests but if all goes well, another recovered stage may be re-launched sometime next year. The key, Logsdon said, is how much work is required to return a used rocket to launch readiness. 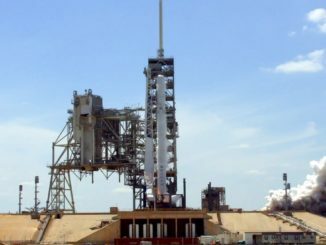 “SpaceX has to find out how close to launch ready it is upon return, how much processing are they going to have to do before it’s ready to operate in the launch environment again,” he said. “And that’s an unknown. In her view, the political cost of failure prevents governments from taking on high-risk space projects. Amazon-founder Jeff Bezos also is developing reusable rockets. His company, Blue Origin, successfully launched and recovered a sub-orbital New Shepard rocket during a test flight last month. 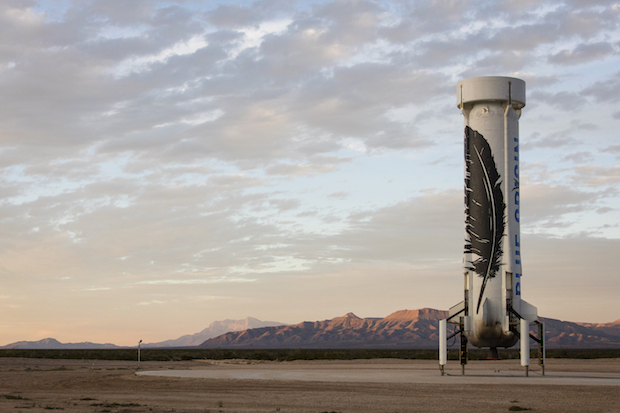 Blue Origin plans to use the rocket to boost passengers out of the atmosphere for brief forays in weightlessness before the New Shepard crew capsule returns to Earth by parachute. 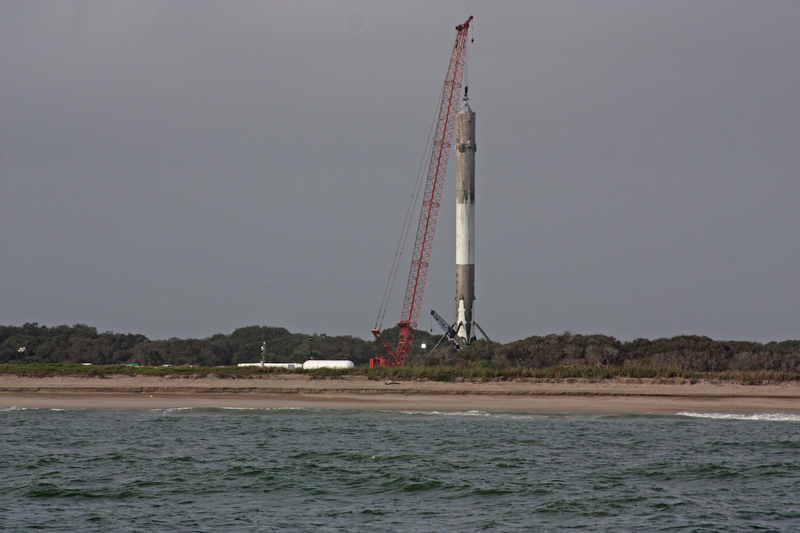 The booster, like the Falcon 9 first stage, is designed to make a tail first, powered descent to touchdown for refurbishment and reuse. Blue Origin also plans to build a rocket manufacturing facility near Cape Canaveral and to develop a much more powerful orbital rocket to launch satellites and, eventually, people. The presumed “space race” between the two billionaires has triggered widespread chatter in social media circles even though the rockets currently in operation or development are not in competition. After the successful New Shepard test flight, Musk tweeted his congratulations, but went out of his way to point out that Bezos’ rocket was strictly sub-orbital and did not have to endure the same stresses as a Falcon 9 first stage returning from an orbital mission.